Your Honda battery is one of the most important parts of your vehicle. It is what gives your vehicle its get up and go! With time and use, a battery's efficiency gradually diminishes and therefore affects its ability to take and hold its charge, and as a result to start the engine. Avoid being inconvenienced unexpectedly by a weakened or exhausted battery by having Trent Valley Honda in Peterborough, ON test your battery's condition during required maintenance and replacing it if necessary. Our certified technicians can also test your Honda's charging system to ensure it’s performing properly and adequately charging the battery while driving. Your vehicles original Genuine Honda Battery is manufactured to meet the specific needs of your Honda vehicle and is backed by a limited 36 month unlimited-mileage warranty. During the first 24 months the battery is backed by 100% coverage of both parts and labour and months 25-36 including a 50% warranty on parts. 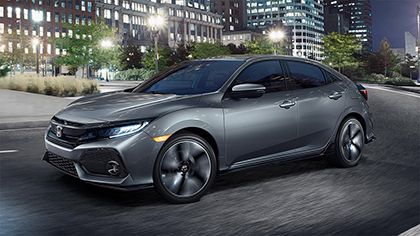 Genuine Honda replacement batteries are manufactured to match your Honda's electrical system specifications and are not only competitively priced but are also backed by a 60-month, unlimited-mileage warranty. During the first 24 months, the battery and labour are covered 100%. During months 25 through 60, the replacement cost of the battery is pro-rated. Battery maintenance is important in those hot summer months. People typically realize the importance of a well-performing car battery in the winter time but many often forget about keeping up on battery issues the rest of the year. Excessive heat causes battery fluid to evaporate, which can damage the internal structure of batteries. Hot temperatures also have the potential to cause a component in the charging system (usually a voltage regulator) to charge at a higher rate, which will eventually destroy the battery. There are ways that our Licensed Honda Technicians ensure your Honda battery is in the best position to remain in top working performance during a scheduled routine maintenance appointment. Should battery replacement be required, remember that purchasing a battery that is rated at least as high as the one specified in your vehicle's owner's manual is of the utmost importance. Make sure you speak to one of our Licensed Honda Technicians about any concerns you have regarding your batteries performance so we can help keep your Honda in tip top shape!